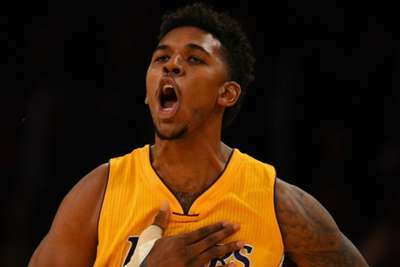 Nick Young is back in the NBA after signing for the injury-hit Denver Nuggets. While financial terms of the deal were not disclosed, the Nuggets have used the injury hardship relief exception, which is granted by the NBA, to add the 33-year-old to their depleted roster. Denver are without guards Will Barton and Gary Harris due to respective groin and hip injuries, while forward Paul Millsap is sidelined after reportedly suffering a broken toe last Friday against the Charlotte Hornets. A first-round pick by the Washington Wizards in the 2007 draft, Young has played for both the Los Angeles Clippers and Lakers in his career, as well as the Philadelphia 76ers. He spent last season with the Golden State Warriors, averaging 7.3 points and 1.6 rebounds while appearing in 80 games for the NBA champions. However, Young was a free agent at the end of the season and had remained unsigned until joining Denver, who also announced they have waived guard Brandon Goodwin.